In this section you will find integrated labels style G14, with a single integrated label of size 110x60mm, positioned 10mm from the left of the A4 sheet, and 49mm from the top. 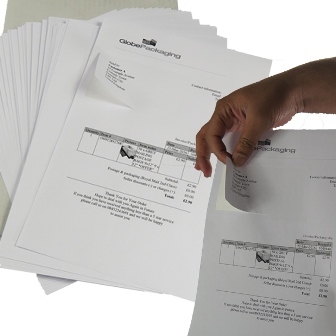 These are high quality UK manufactured versions, 90gsm in thickness. Suitable for all inkjet and laser printers, and perfect for ebay and amazon dispatch.